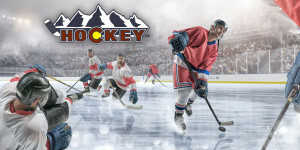 Two weak passes lead to a point blank shot and then rebound goal as 3 Avs players in punching distance watch the happenings. Another late night game tonight. 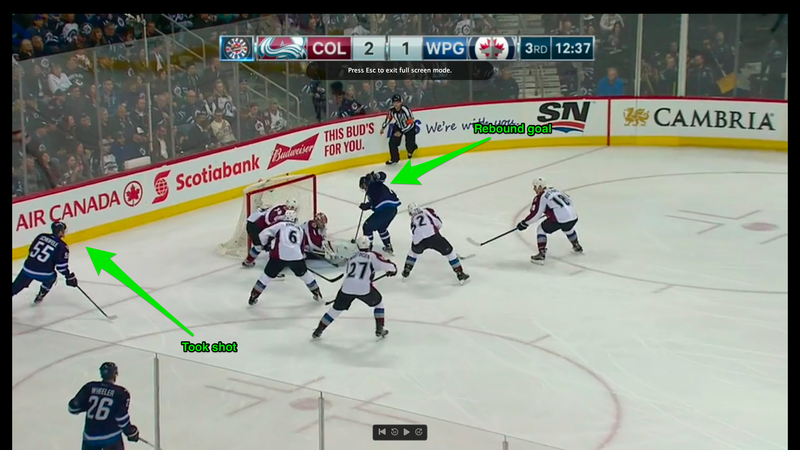 So with a little free time on our hands, we decided to look at the last 11 goals against (11 because that’s how many we’ve given up in the last 4 games) and find out just what is breaking down when the Avs give up goals. 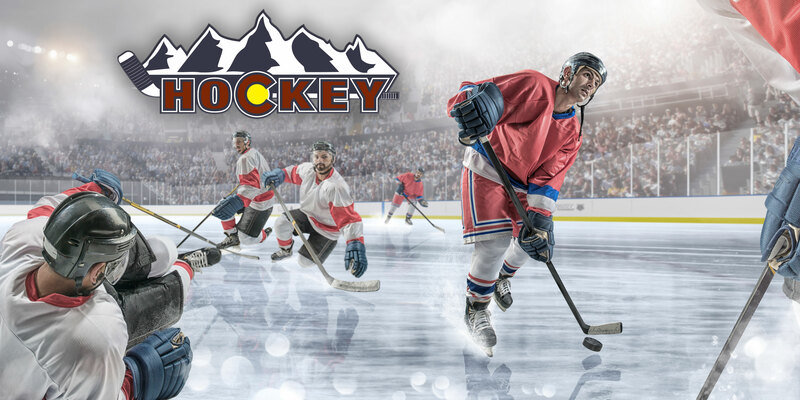 Spoiler alert – the Avs give up a lot of rebound goals. 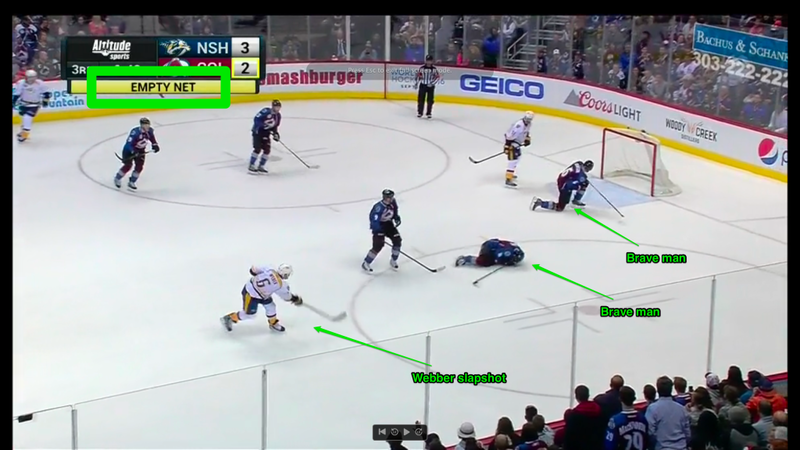 As you might expect, there’s a lot of coverage issues but what really floats to the top is the defensive coverage and not just by defensemen – but the entire team. 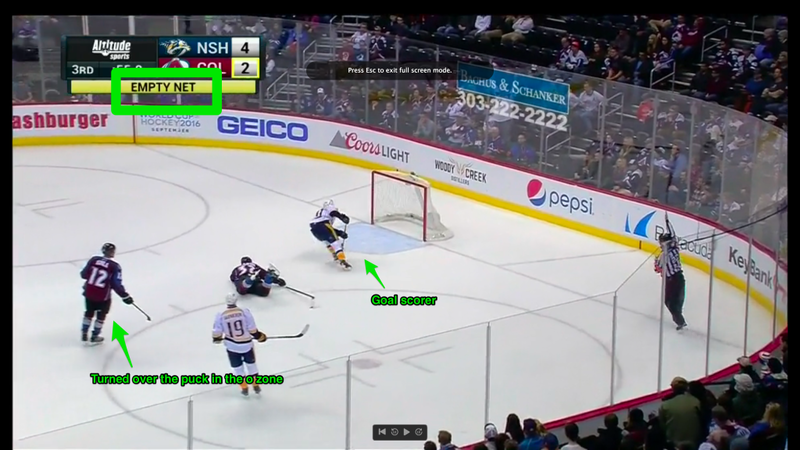 Here’s our quick and dirty take on what we think went wrong on the last 11 goals. 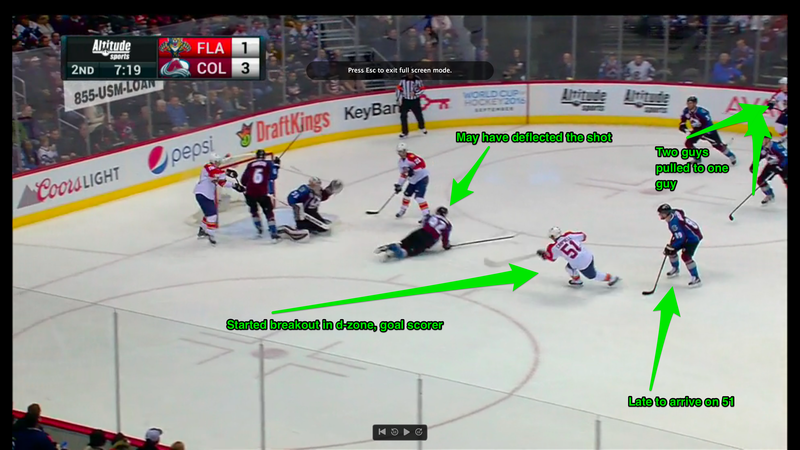 A clean goal scored by a man left wide open when two Avs players attacked the same Florida player. 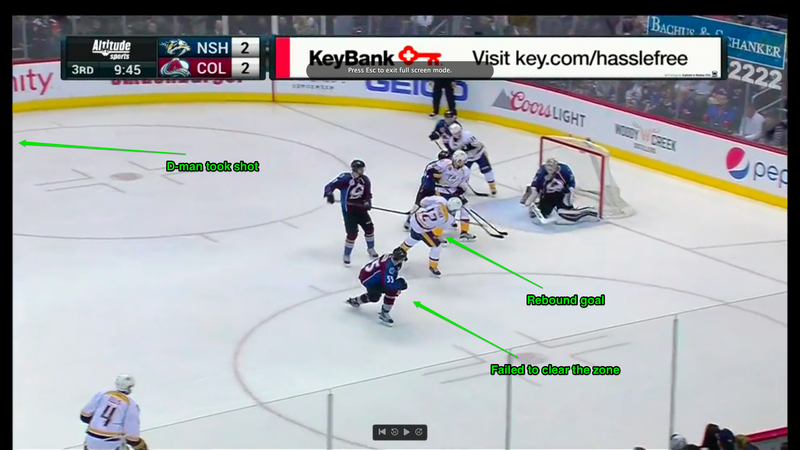 It looks as though Landy may have redirected the shot while trying to block it. 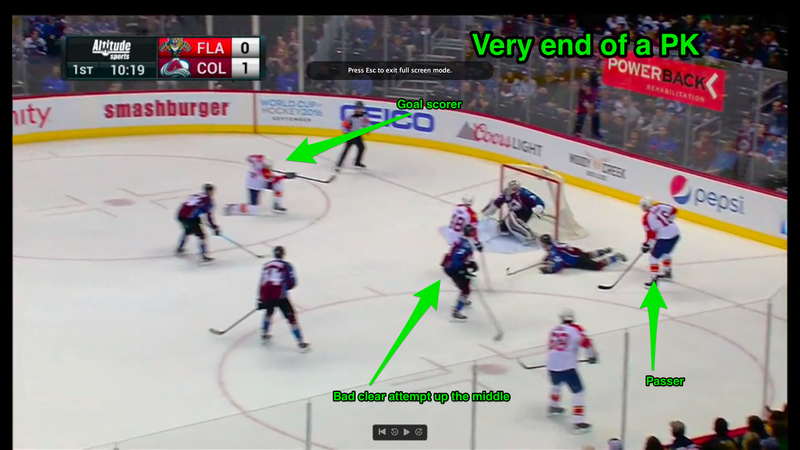 After a bad clearing attempt, was the penalty was ending Florida recovered the puck and caught some Avs players off guard as they thought the puck was being cleared by Bigras. Another rebound goal after a bad pass from MacKinnon in the offensive zone. MacK is fast, skilled and at the end of the day… still young. Another rebound goal (3rd of theme) after a failed clearing attempt from Cody McLeod on the boards. 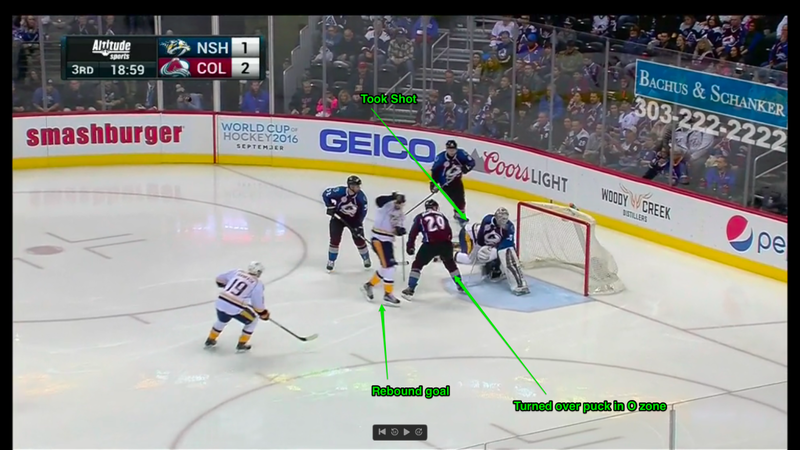 To say that the Avs goalie should control the rebounds is accurate…. 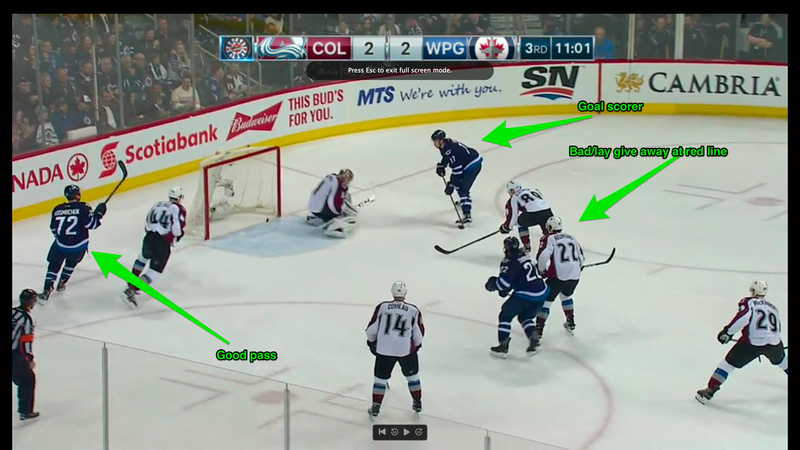 But the Avs players need to chip in as well and clear their guy out of a rebound chance. 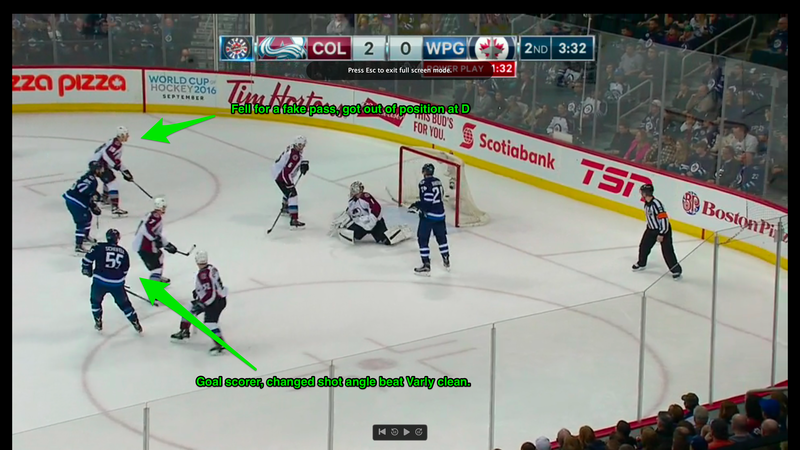 Webber winds up with zero hesitation or hold-back AS Tyson Barrie and Eric Johnson risk life and limb standing in front of the hardest shot in the game today. The second empty net goal of the night just before the credits starting rolling on this game. A clean shot hat just beat the goalie. The shooter did a great job to change the angle and put some heat on the shot. 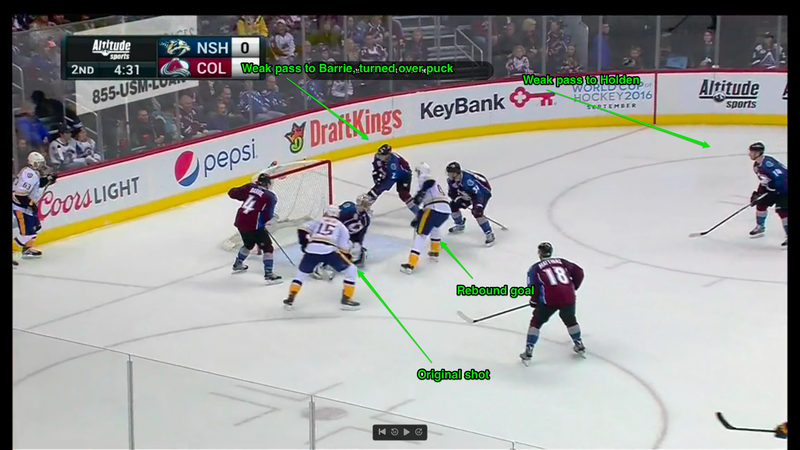 A bad and lazy pass that leads to a turnover and a clean pass as the Avs look on… no where near the net.